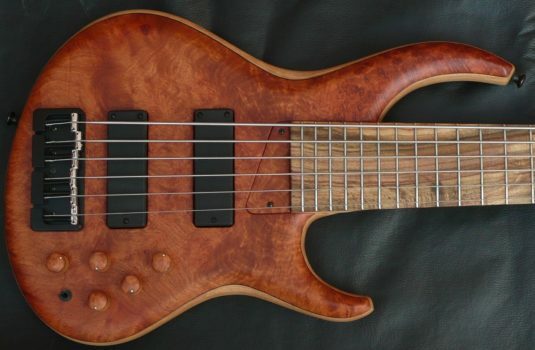 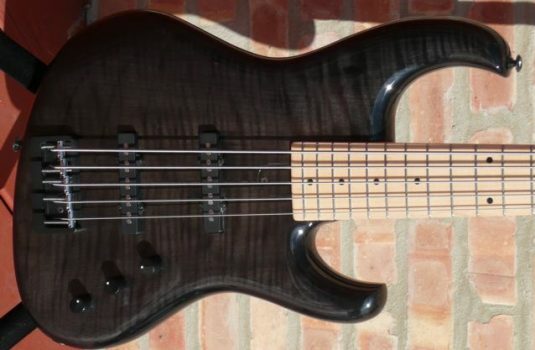 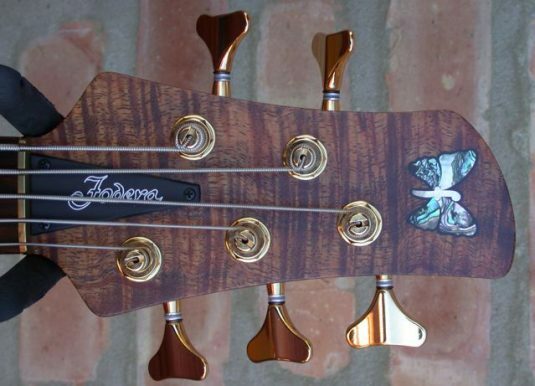 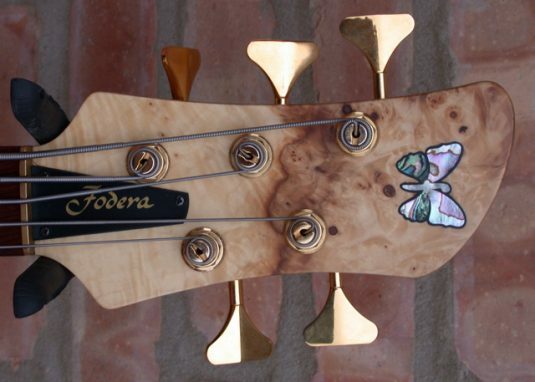 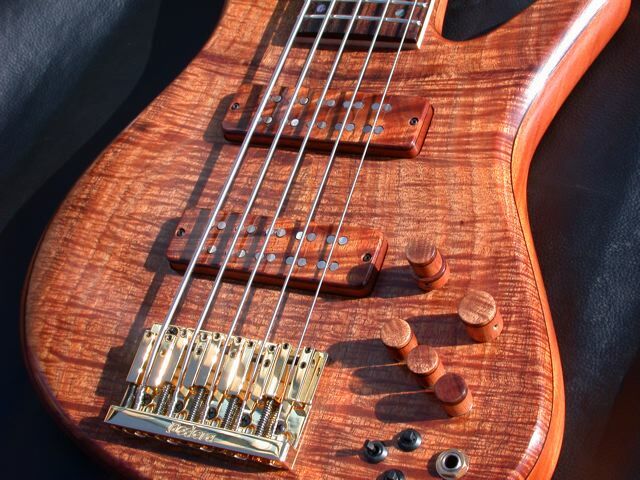 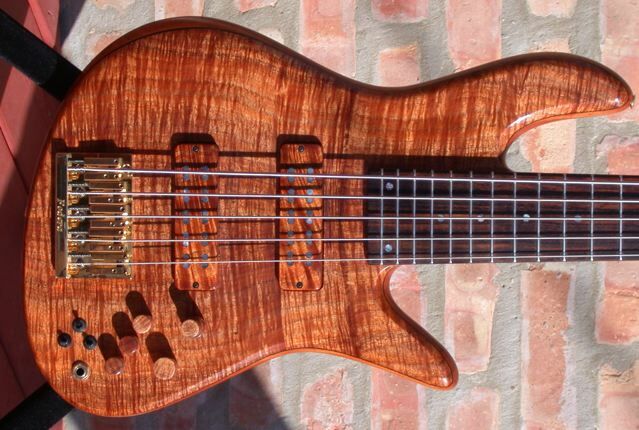 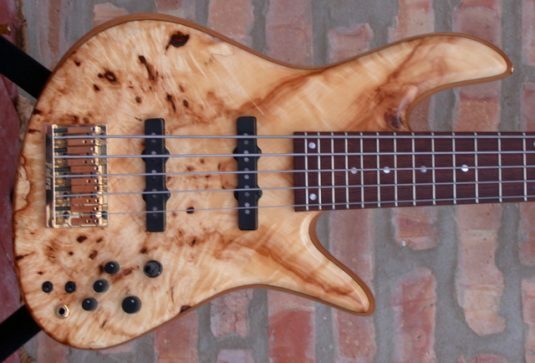 How about this – 2 Fodera 34″ scale Emperors at the same time – take your pick. This Deluxe is the Set Neck version. 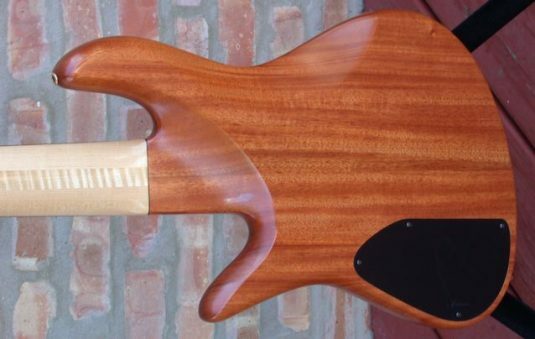 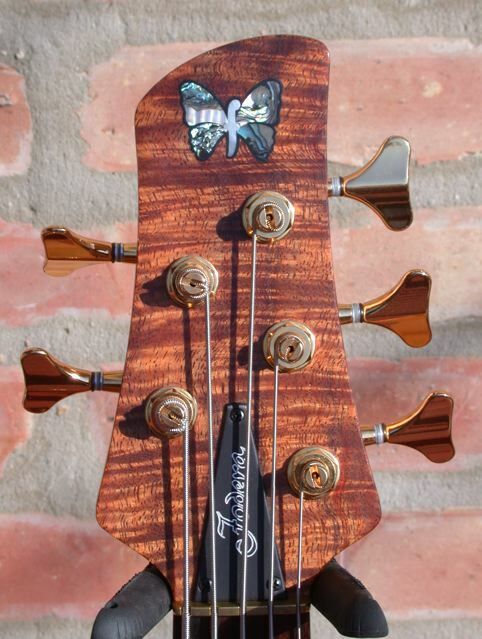 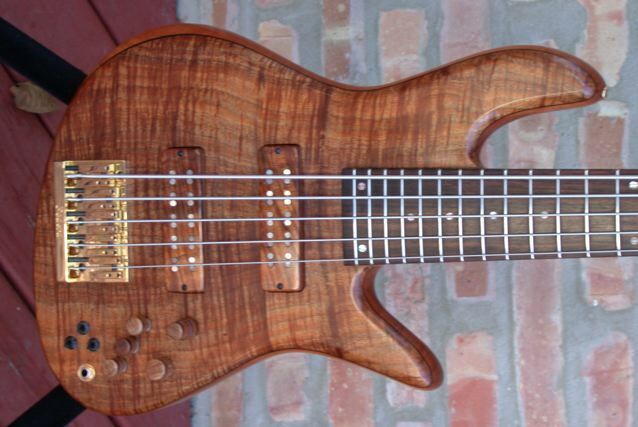 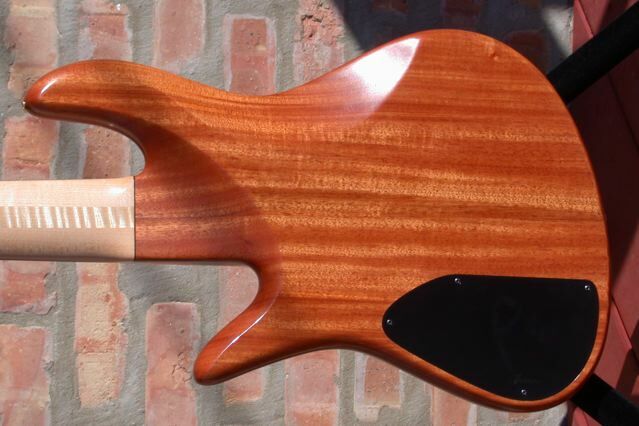 The body is select Alder with a stunning Horse Chestnut top. The three piece Maple neck sports a Kingwood fretboard. 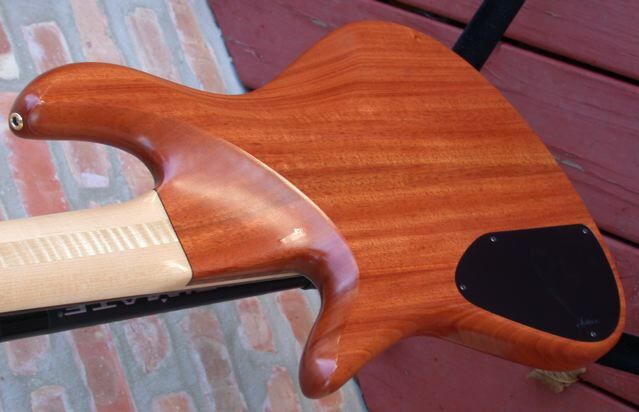 The pickups are by Duncan, and the preamp, of course, is by Mike Pope. 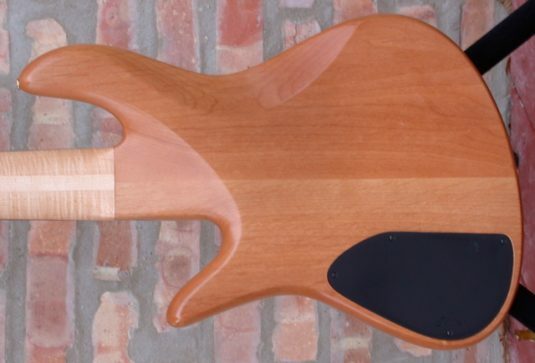 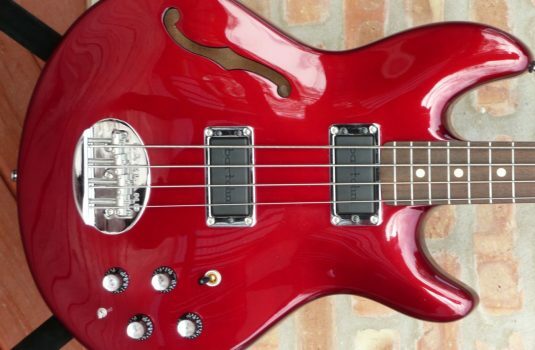 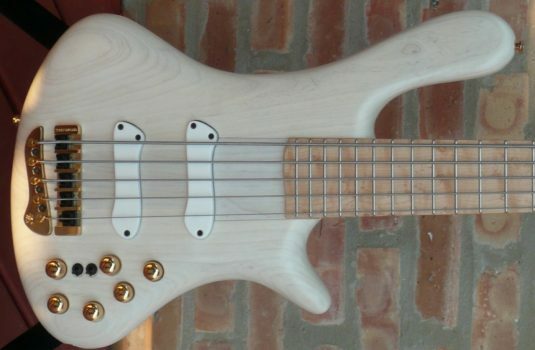 This is a fairly recent bass that appears to be MINT – I’ll get the specs out for a closer inspection in the next few days.